Night creams are some of the most magical beauty products to have in your arsenal. By just applying a cream before bed, you get a host of benefits for your skin, like moisture, evening out the complexion, boosting collagen, zapping wrinkles, increasing skin elasticity, skin nourishment and helping cells renew. All from one beauty step. But many night creams aren’t cheap, with the higher-end brands running around the $50 price point. Plus you can’t customize the ingredients. That’s where making your own night cream comes in. Below are several ways to make a DIY night cream that’s natural and inexpensive. Your commercial night creams come with a host of vitamins, oils like olive and jojoba, shea butter, antioxidants, flower extracts like jasmine and even honey. So the nice thing is that you can mix a lot of these ingredients yourself. 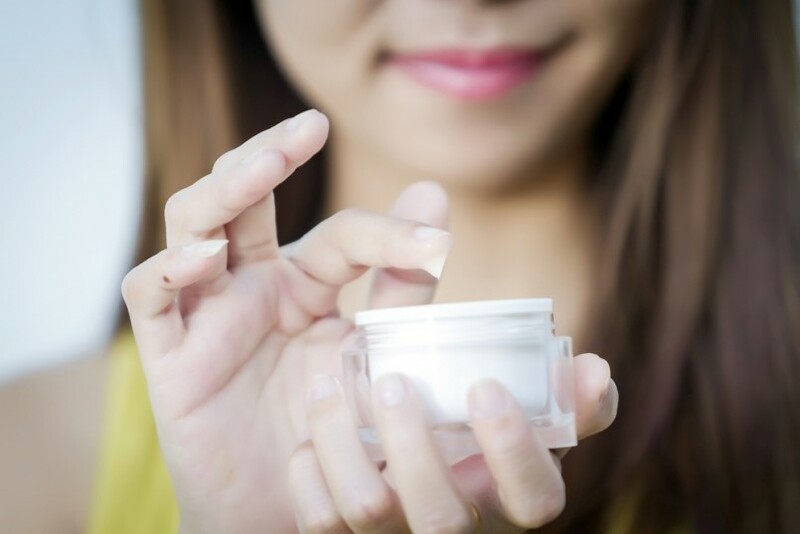 DIY night creams start with a base that gets the cream to have a solid consistency. That could be cocoa butter, beeswax, shea butter or glycerin. From there you’ll have a skin-nourishing oil or two. These could include coconut, almond, olive, jojoba, rose or apricot oil, to name a few. There are tons of other options for nourishing the skin. A common ingredient in commercial skin care is the nourishing aloe vera, which you can add in the form of juice, extract or gel. Rose water is a great skin toner. Green tea extract is rich in anti-ageing antioxidants. Raw honey is full of anti-ageing antioxidants as well, and is a natural antibacterial, making it good for acne-prone skin. And vitamin E oil is another antioxidant powerhouse that’s a favorite for anti-ageing. These are all ingredients that can be found in commercial night creams, so you just add them to your own DIY night cream. To keep this simple in your DIY night cream, you’ll start with a tablespoon of your base, so your cocoa butter, shea butter, beeswax or glycerin. To that add the oils of your choice. The oil-to-base ratios may vary depending on which base you choose. Feel free to adjust to get a consistency your prefer. For easier mixing, you may want to add the thicker ingredients to a double boiler (a pan in boiling water) and melt them. Start with your base and slowly mix in each oil by the teaspoon to adjust for consistency. If you plan to add extract, rose water or other extra goodies, keep the consistency thicker with the oils. Then do the same with your rose water, honey or other ingredients, adding slowly by the teaspoon. If you’re using vitamin E oil, however, add only a few drops because it’s very heavy. Add more base to your DIY night cream if you need to thicken the mixture again.